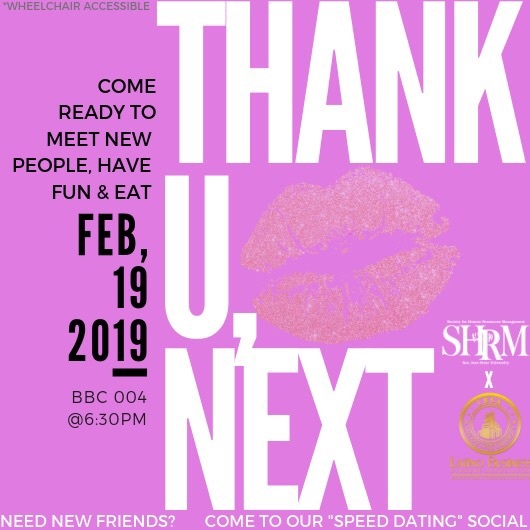 In honor of Valentine’s Day that had just passed, we would like to invite you all to join us for our Thank U, Next Social. This event is designed to imitate a speed dating process for you to meet new friends. Not only will you build lasting friendships with other SHRM members, you will also be able to mingle with members from another AWESOME club, LBSA (Latino Business Student Association)!